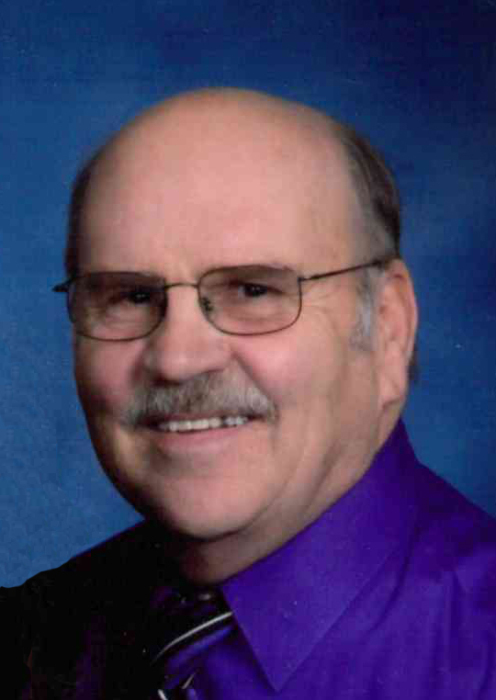 Ernest “Ernie” Skalsky, 75, of Beulah, ND passed away Monday, February 4, 2019 surrounded by his loving family at St. Alexius Medical Center, Bismarck. Services will be held at 10:00 AM CDT on Friday, February 8, 2019 at St. Joseph Catholic Church, Beulah with Fr. Kenneth Phillips officiating. Burial will follow in the church cemetery. Visitation will be held from 5:00 to 7:00 PM CDT on Thursday at Barbot Funeral Home, Beulah with a vigil service at 7:00 PM. Ernie was born on March 10, 1943 to Frank and Amelia (Keller) Skalsky in Hebron, ND. He attended farm school and was an altar boy at St. Benedict parish. Ernie helped his dad on the family farm until he joined the U.S. Army in 1963 and served until 1965. He also served for four years in the National Guard and two years in the Army Reserves. Ernie worked for Knife River Coal Mine and Dakota Westmoreland for 38 years. He was a proud member and officer of the United Mine Workers of America during this time. Ernie met the love of his life, JoAnne Pulver at the Round Up Drive-In in Beulah. They were united in marriage on September 28, 1965 and spent 53 wonderful years together. Ernie and JoAnne raised four daughters, Kim, Lana, Tanya and Heather and enjoyed two beautiful months with their son, Chad. Ernie loved his family deeply and could be found with a twinkle in his eye and a smile on his face when he was with them. He had a playful and kind spirit and was always ready to joke, tease and laugh with those around him. Ernie loved spending time with his daughters, sons-in-law, grandkids and mostly, his beautiful wife. Ernie had a strong faith in the Lord and was a member of St. Joseph Catholic Church. Ernie’s hobbies included hunting, camping with his family, farming and enjoying his daily cup of coffee with his friends. He also loved being outside, rollerblading, tinkering in his garage, going for walks and visiting the old farmstead. Ernie is survived by his wife of 53 years, JoAnne of Beulah; four daughters, Kim (Jason) DelaBarre of Bismarck, ND, Lana (Dirk) Erasmus of Washburn, ND; Tanya (Mike) Doe of Beulah and Heather (Jeremy) Horning of Golden Valley, ND; 12 grandchildren; two great-grandchildren; three sisters, Leona Schaaf of Glen Ullin, ND, Maggie Obrigewitch of Dickinson, ND and Cleo (Gary) Boeckel of Stanton, ND; and many nieces and nephews.